Olefin, or polypropylene, carpet is a synthetic carpet fiber that is used frequently for outdoor rugs or areas where moisture/mold are a possible issue. It is a carpet fiber that makes a lot of sense in certain situations but has some downsides that you should carefully consider before purchasing it. It shines in situations where moisture may be a problem but is generally low traffic like a screened in porch or a basement. It can also be used as an outdoor rug or carpet in a boat. Olefin is not as durable as other synthetic carpet fibers, like nylon. It can become matted down fairly quickly, which is why you will typically find it used in low-pile, looped carpet. It is also better to use it in low-traffic areas to help protect it against matting and wear. One benefit to olefin carpet is that it is water resistant and does not absorb liquids, making it ideal for areas where moisture may be a problem. This makes it excellent in basements and outdoor areas. Because it does not absorb water, it is not prone to mold or mildew, and it is also stain resistant. One of the main issues with olefin carpet is that it attracts oils. Oils, like from food or the bottom of your feet, will become trapped in the fiber, making it hard to clean. It can even be brought in on the bottom of your shoes from outside the house. It is common even after cleaning that this type of soiling can reappear, leaving the carpet looking grungy. While it is impossible to avoid this problem altogether, the best way to help prevent it is not to use it in areas where you commonly eat and to not walk around barefoot. 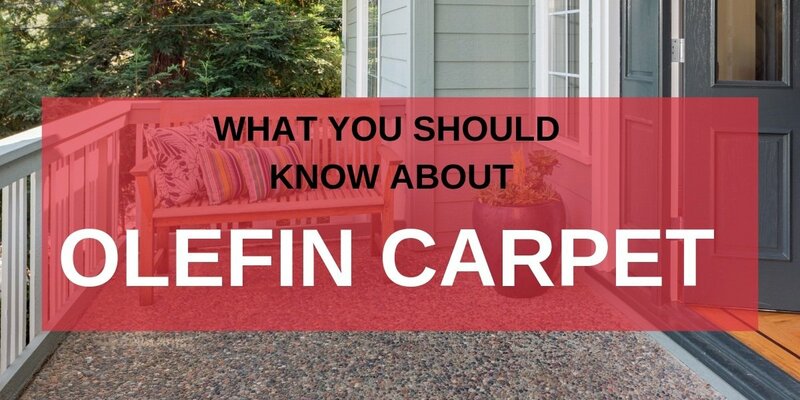 Olefin carpet is considered one of the most inexpensive carpet fibers, but because it is not very durable, you should not expect it to last for a long time. If you need help choosing the perfect carpet for you, give us a call or stop by Carpet Depot. We have experts that will help to match the perfect carpet or flooring to you, your lifestyle, and your budget.